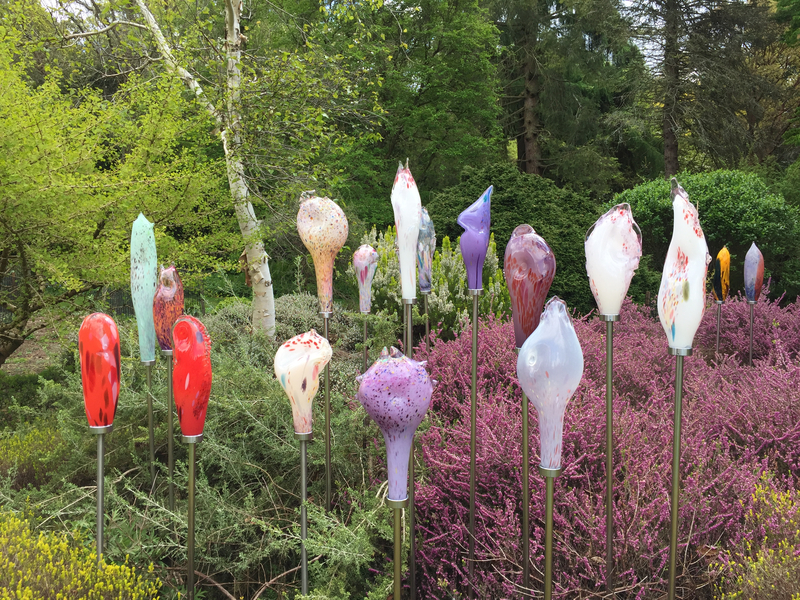 The Shape of Colour is an Exhibition of glass sculptures and abstract paintings. 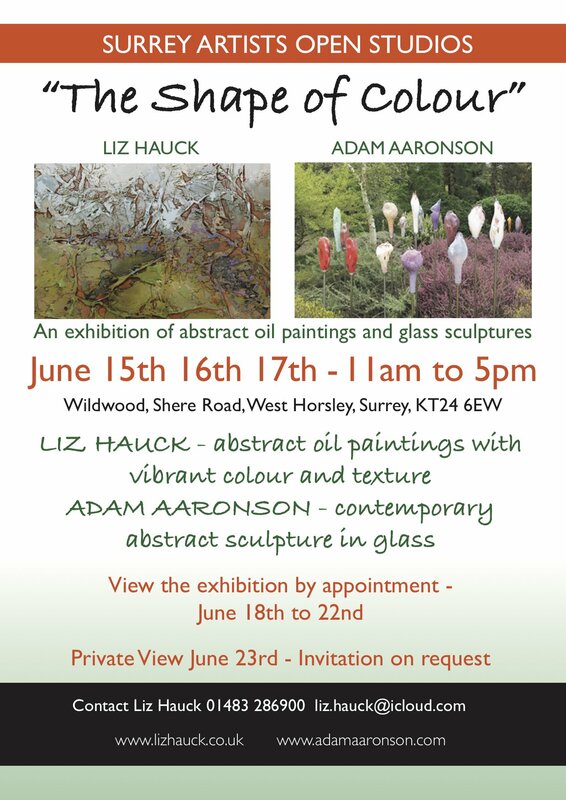 This June, Adam Aaronson is taking part in Surrey Artists Open Studios in a joint exhibition with Elizabeth Hauck, the well-known abstract expressionist painter based in West Horsley in Surrey. 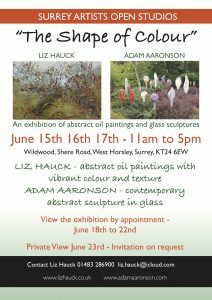 The exhibition will be in at Liz’s house and studio in Shere Road, West Horsley. 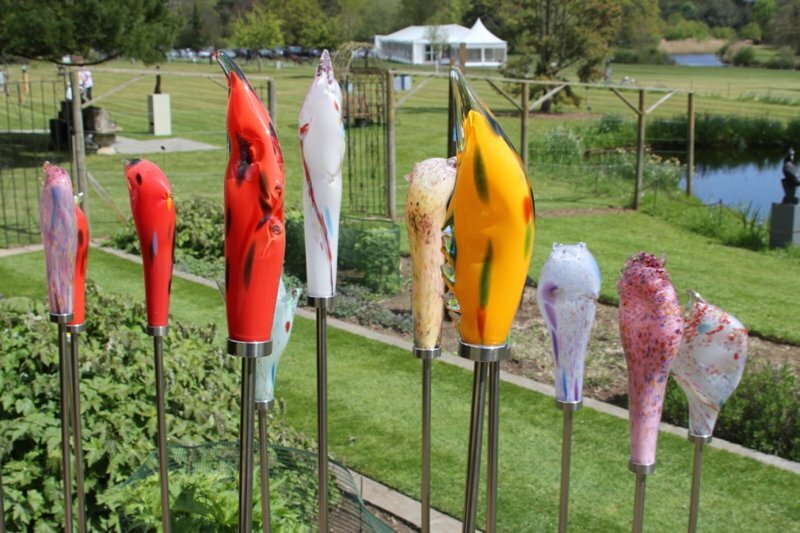 It will include Adam’s glass sculptures in the house and garden as well as Liz’s paintings and drawings. There is a story behind this exhibition, linking art in Surrey to art in Africa. For the past two years Liz has been sponsoring Visual Arts at Tujatane, Tongabezi Trust School. This school is located in Zambia, close to Victoria Falls. 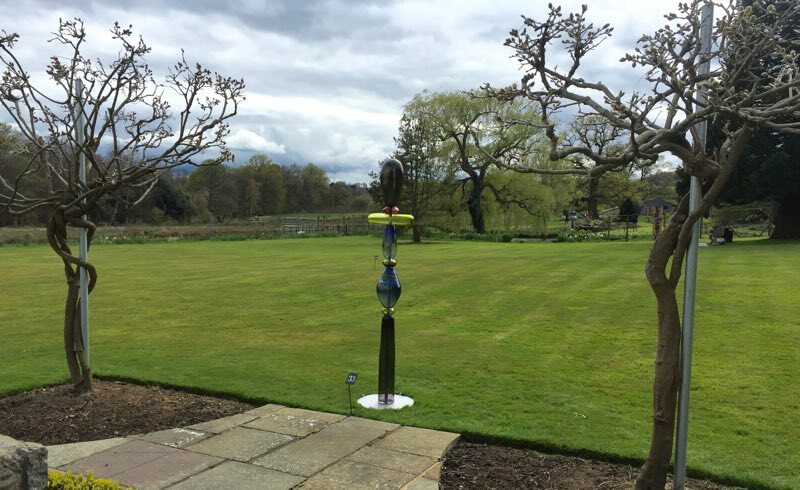 Adam is thrilled to be showing his work in such a wonderful setting and delighted to be supporting this excellent cause. We do hope you will be able to come along and join us. The exhibition is open to the public on June 15th, 16th and 17th 11am to 5pm. It is also open the following week by appointment from June 18th -22nd. 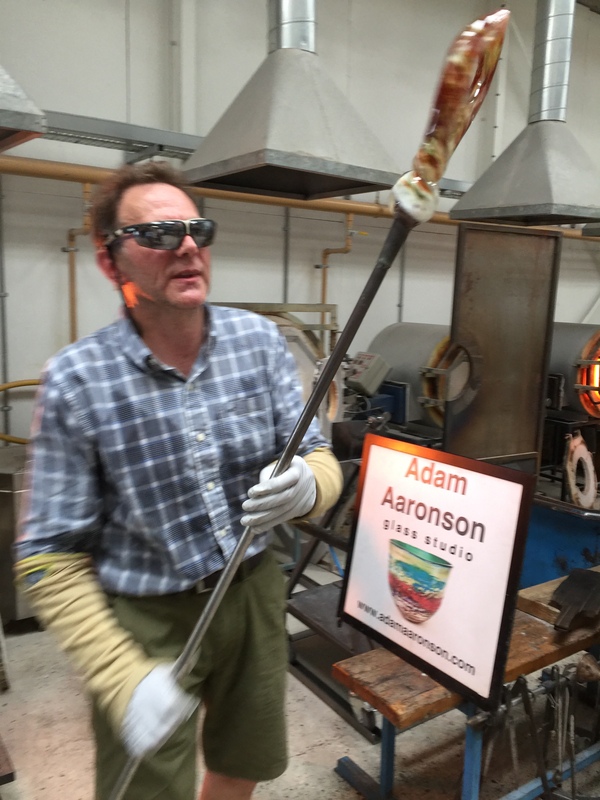 Adam Aaronson will be presenting a series of Glass Blowing Demonstrations during SAOS – Surrey Artists Open Studios during June 2018. Please see below for dates and times. These glassblowing demonstrations are free to the public and no booking is necessary. As part of the Surrey Artist Open Studios series of events, Adam will be running his popular Taster Courses. 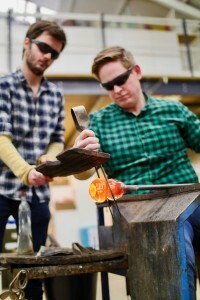 Why not have a go at making glass yourself? You can find details by clicking here. 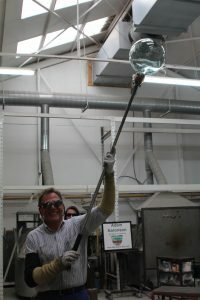 Adam’s glass blowing demonstrations are exciting and interesting to watch. 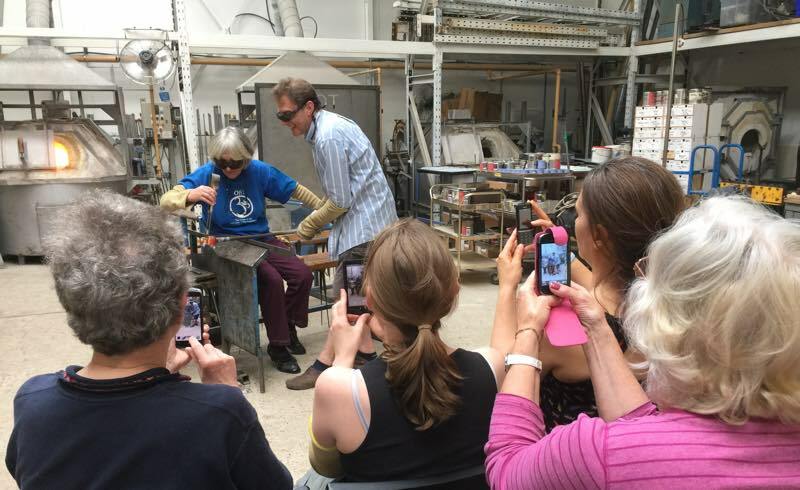 If you are unable to visit at these times, the chances are that there will be some glassblowing to watch at most times during Open Studios, so it is worth dropping in. But we can’t guarantee a demonstration outside the published times. When Taster courses are running, it is generally possibly to watch, space permitting. These glass blowing taster courses are perfect for novices. You don’t need any experience at all, as we go through the process carefully. We welcome children aged 9 years upwards. We have no upper age limit and the oldest student so far was aged 92! But please advise us when you are booking if participants will be under 18 and please note that a parent or other responsible adult must accompany children. And, if you would like to make more than one item, just book two spaces! These courses are dynamic, hands-on workshops, during which each participant makes their own coloured glass paperweight, bowl, tumbler, vase or other object from a choice of styles. Each session starts with a safety briefing. Then Adam Aaronson gives a demonstration showing how you will make your glass creation, with assistance from Adam and one of his assistants, Will, Candice or Gina, to make their paperweight or other item. We adapt to each individual’s ability, giving you more or less assistance as required. 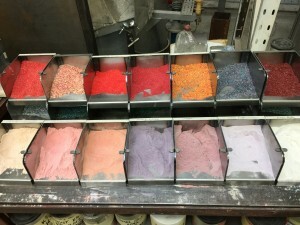 Next, each person chooses their colours and style and works in turn on an individual basis with Adam and his assistant to create their unique piece. 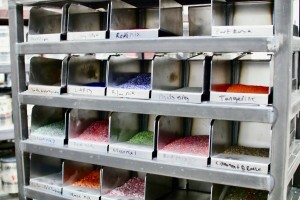 We have to anneal your glass creation overnight. Then we will need to grind and polish it. So it will usually be ready for collection 48 hours after the course. As a finishing touch we will engrave your name on the base. We very much encourage you to take photographs during the session, so don’t forget to bring your camera or phone. Our glassblowing taster courses cost £50 per person. This year, the first Surrey Sculpture Society Exhibition is taking place at Birtley House, Bramley. 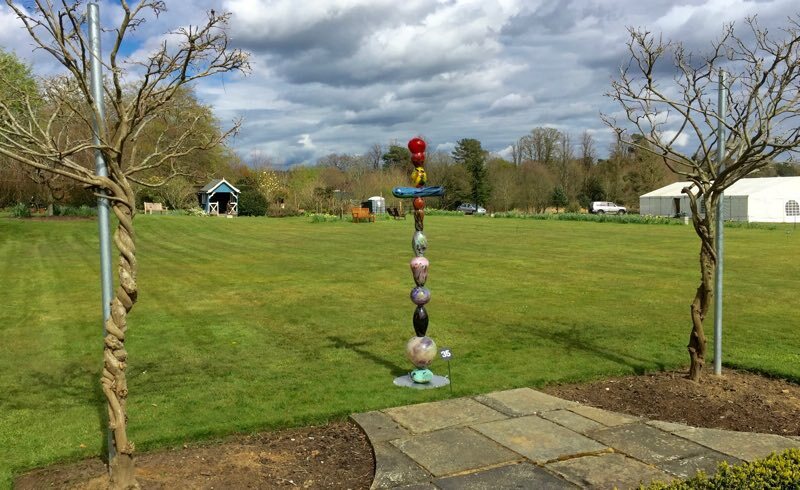 Adam Aaronson is exhibiting exciting new sculpture there until June 4th 2017 as part of the Surrey Hills Sculpture Garden exhibition. 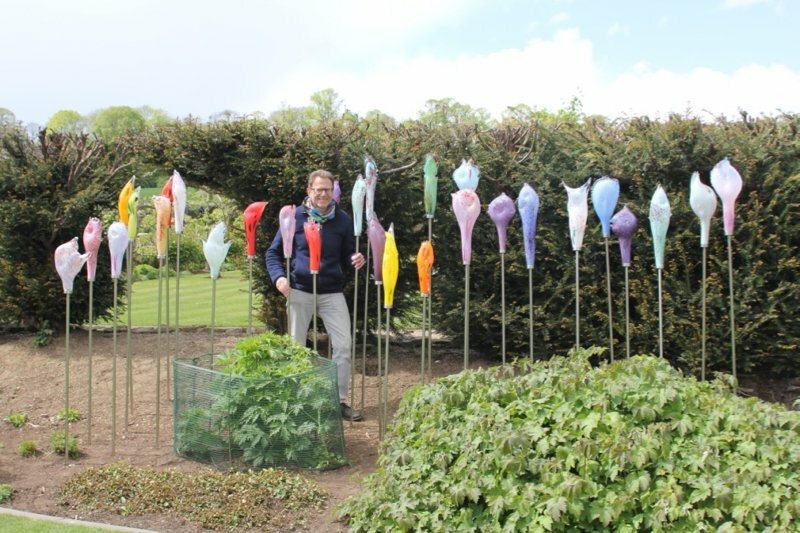 Adam has been a member of the Surrey Sculpture Society since moving to West Horsley four years ago. “Crowds have their own critical mass, but they are full of individuals. I often wonder whether there is much difference between the crowd of commuters at a railway station during rush hour and a crowd of refugees. Each individual has a story to tell. Invariably their stories are similar. Their ambition, whatever their background, is to establish a stable, secure future for themselves and their families. Is there really much difference between a refugee and a commuter? Could it be simply that the commuter has achieved a greater level of stability in their life? 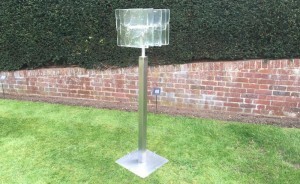 We supply each sculpture with its own detachable stainless steel post. If you would prefer to position the sculpture on a wall or plinth, Adam can adapt the fitting. You can purchase the one-of a kind sculptures in Crowdscene from the exhibition. They cost £350 each, which includes the fittings and post. 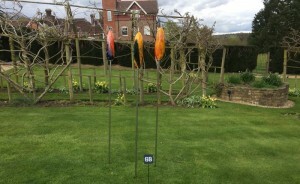 The sculptures are easy to install. 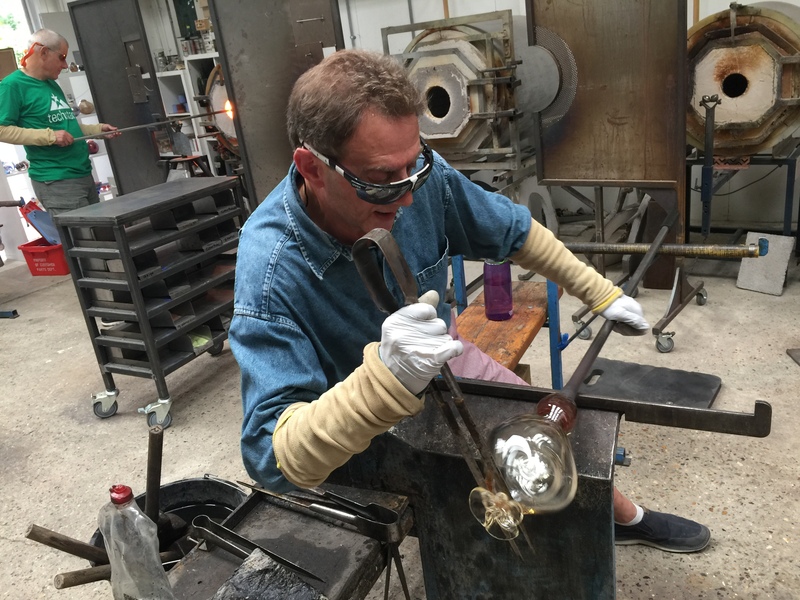 Christmas 2016 – Blow your own glass Christmas bauble in West Horsley. We’ve been running our popular bauble making sessions for several years now and they’ve always been a great success, so much so that some people come back year after year! Each place costs £40 per person and payment is required with booking. 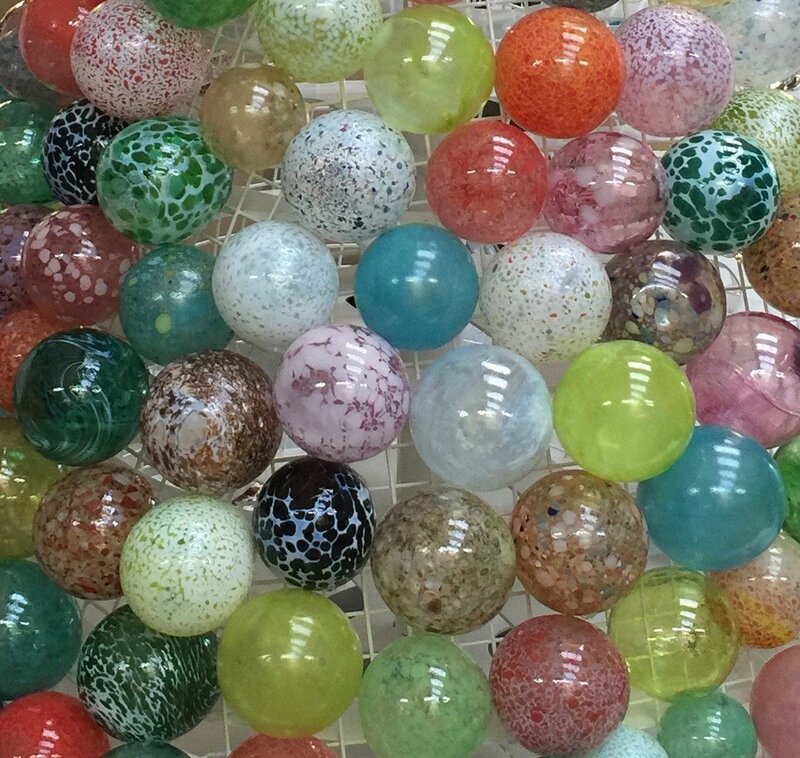 This is an exciting, hands-on workshop where you make your own blown glass Christmas bauble to keep and treasure or give as a gift. Why not come with a group of friends and family for a fun-filled pre-Christmas outing? 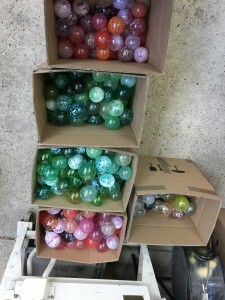 The sessions last around an hour and include a demonstration from Adam, who will then work with each person to blow their own bauble in a colour of their choice. If you’d like to make two baubles, just book two places! 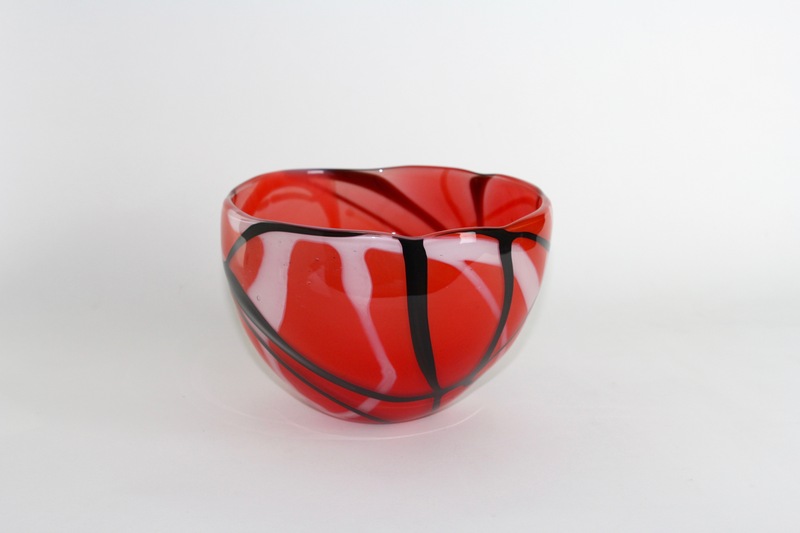 After your bauble experience, you can browse our shop and gallery, packed with wonderful creative Christmas gifts, and enjoy a cup of mulled wine and a mince pie. We can also arrange special sessions for groups of ten or more participants. Please email for details. Adam Aaronson nominated for Surrey Artist of the Year Award 2016. It was a great surprise to Adam when he heard that he had been nominated for this prestigious award. The winner of this award is determined by public vote. If you would like to vote for Adam, or one of the other nominees, you can do so if you visit the exhibition in person between before October 21st. It is not possible to vote online. The winner receives a bursary of £1,000 and a solo show, so this is actually quite a big deal! The Surrey Artist of the Year competition is a partnership between the New Ashgate Gallery in Waggon Yard, Farnham and Surrey Artists Open Studios. 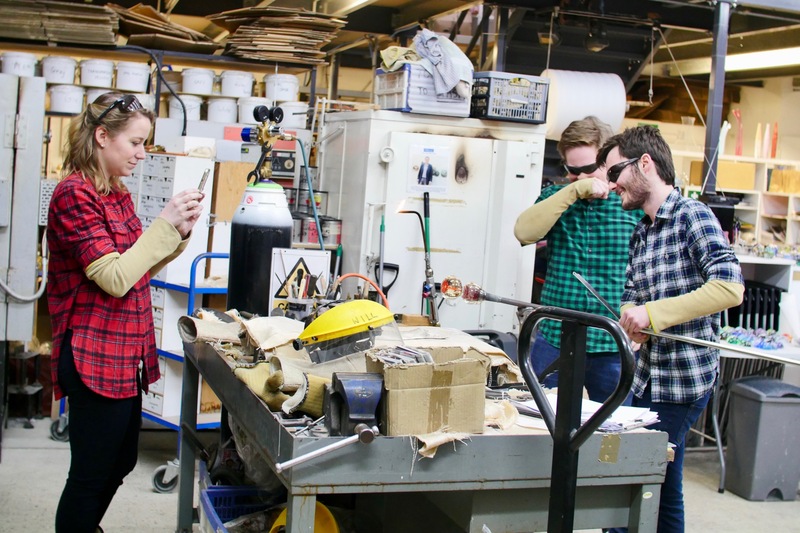 This aspirational event, running annually since 2009, offers a collective of local quality arts and craft, voted for by the public during open studio visits. 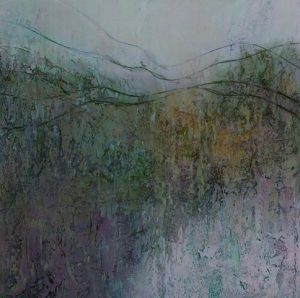 The top scoring artists come together for an exhibition at New Ashgate, one of the most prestigious galleries in the country. There is a wide variety of artworks on show, all offering different materials and techniques, from ceramics, collage, glass, jewellery, painting, and photography to printmaking, sculpture, textiles and woodwork. Together these illustrate the wealth of Surrey creative talent. 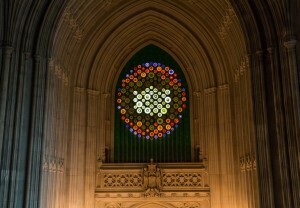 Mary Branson’s New Dawn Sculpture at Westminster Hall. 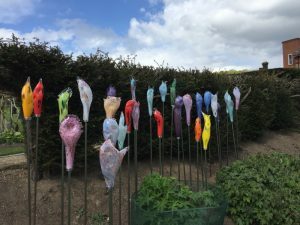 Over the past two years Adam Aaronson and his team have been working together with the installation artist Mary Branson, on an exciting, secret project entitled “New Dawn”. Mary is Parliament’s ‘artist-in-residence’ for women’s suffrage. Many visitors to Adam’s studio have noticed the buzz of activity but usually all questions about the project were met with deafening silence. Except that Adam did tell a few people that he was developing canapé dishes for a restaurant chain and this seemed to keep them happy! This legacy artwork is the brainchild of Mary Branson. 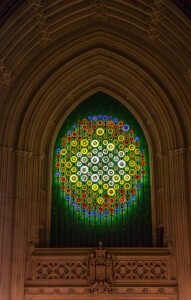 Mary was commissioned, as part of her residency, by the Speaker’s Advisory Committee on Works of Art. 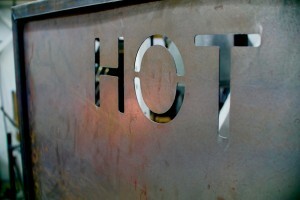 Her task was to develop a proposal for a site-specific work. 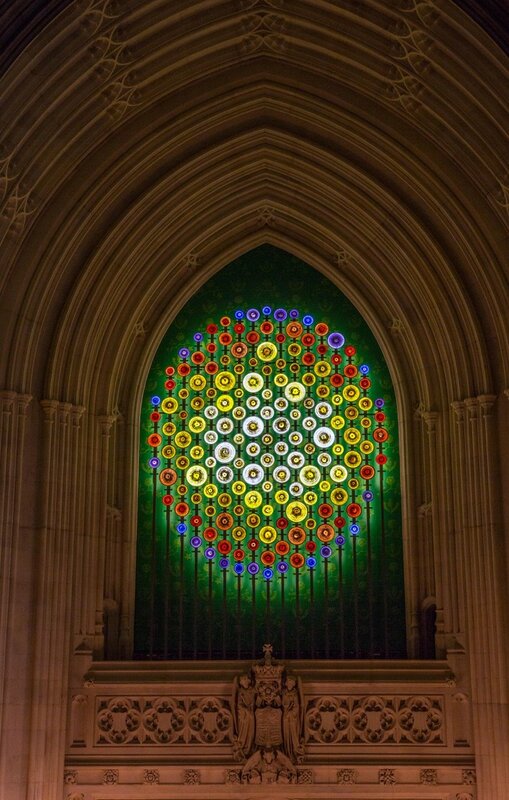 The brief was for an artwork to be placed in a permanent location in the Palace of Westminster as part of the Parliamentary Art Collection. Finding a suitable location in such a huge building was challenging. However, Mary kept being drawn back to the entrance to St Stephen’s Hall, where suffragettes petitioning Parliament all those years ago, were barred from entering any further. As part of her research, Mary discovered that Parliament is full of traditional art and sculpture. However, this mainly features male politicians. Women are hardly represented. 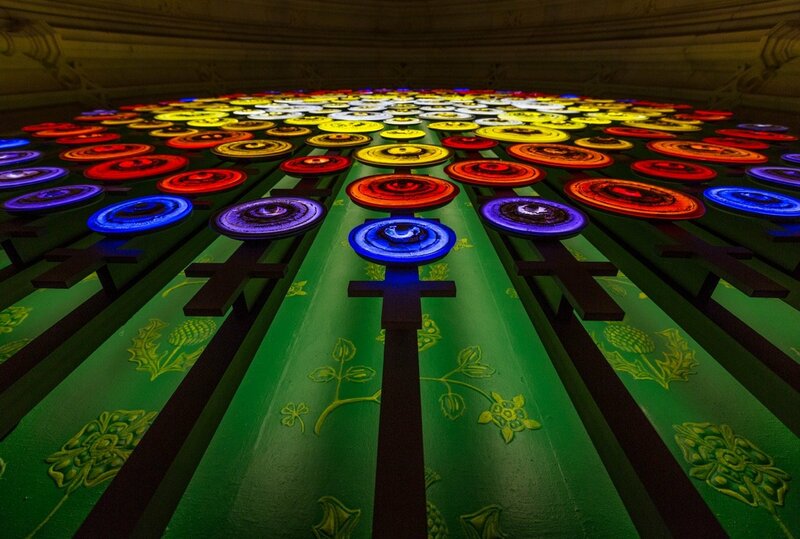 So she wanted to redress the balance with a large scale contemporary work honouring the thousands of campaigners who paved the way for universal suffrage. The majority of these were, of course, women. Mary discovered that Charles Barry, in his nineteenth century rebuild of the Palace of Westminster, had originally intended the two alcoves, high above the doorways in Westminster Hall, to house an epic pair of artworks. These were intended to depict “War” and “Peace”, but his budget ran out. So the radiant calm of Mary Branson’s New Dawn turns out to be an ideal alternative for this location as it is sited exactly where Barrie had intended “Peace” to be celebrated. 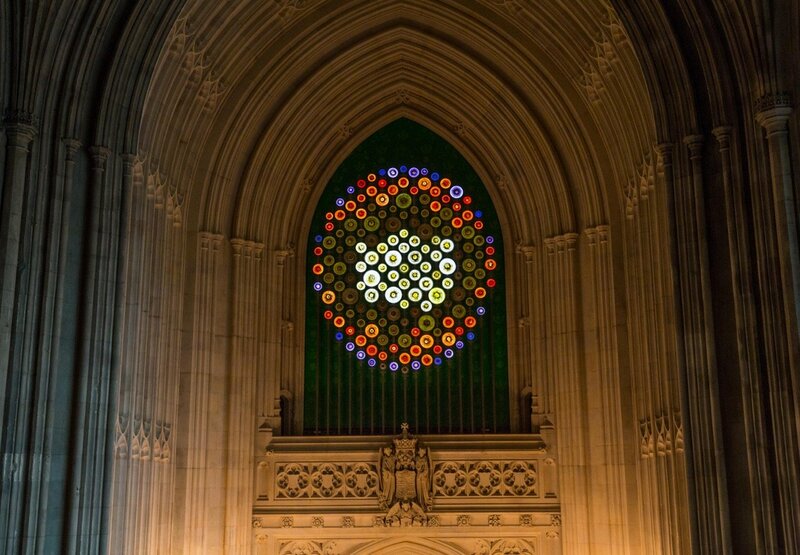 New Dawn is a dynamic glass, metal, and light sculpture and marks 150 years since the philosopher John Stuart Mill presented to Parliament a petition calling for votes for women. This became a turning point for the women’s suffrage movement. 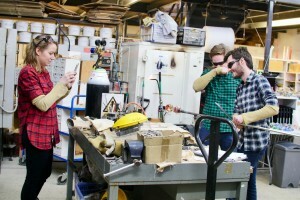 Mary Branson first approached Adam Aaronson in June 2014 when the concept was in its nascent stages and they have been working closely together on the project for almost two years. 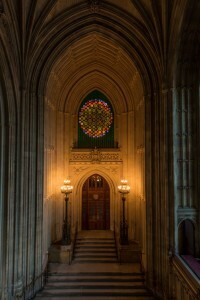 Mary’s inspiration came from the ends of the scrolls in the Original Act Room in the Victoria Tower in the Palace of Westminster. This is where all the legislation and petitions to parliament in our history are housed. Written on these vellum scrolls is the legislation that brought women the vote as well as the petitions of all the campaigners. When Mary showed Adam her photographs of the scrolls, he too was similarly inspired and instantly on the same wavelength. So it fell to him to devise a way to reflect the imagery of the scrolls in glass. 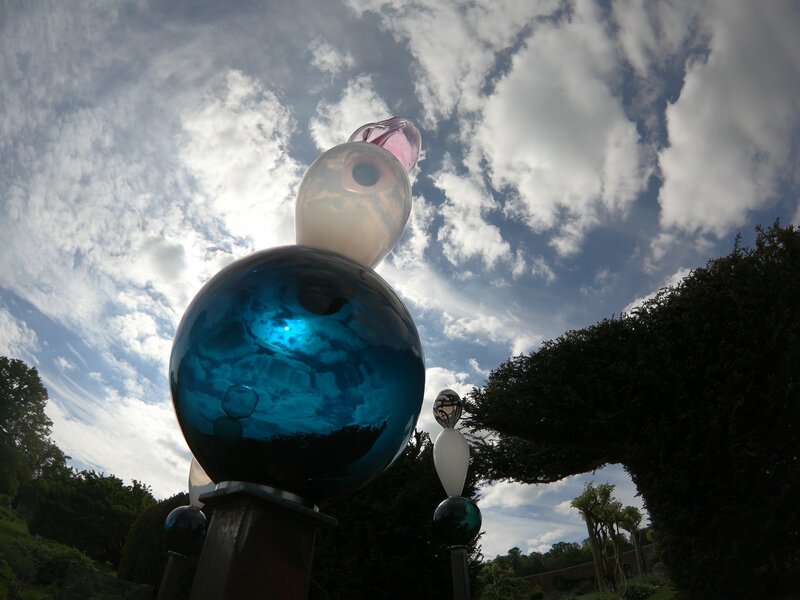 He achieved this by working with Mary to adapt the carefully honed techniques he is known for, to create the 168 glass scrolls used in New Dawn. 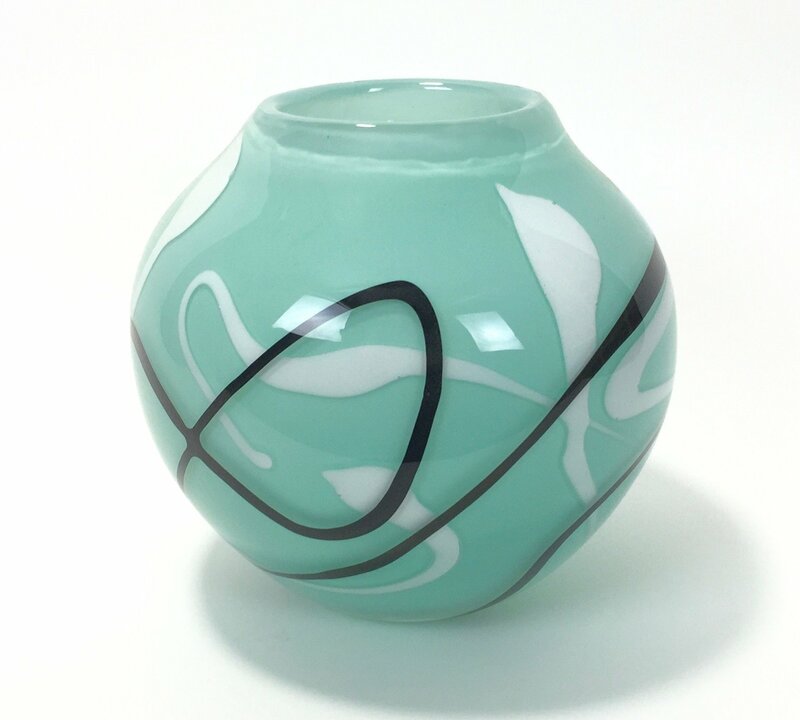 Over a period of eighteen months, Adam and his team, painstakingly created the glass scrolls for New Dawn. The parameters they had to work to were exacting. More than 350 scrolls were produced to achieve the final result. 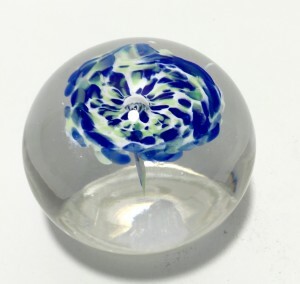 Many of these had to be destroyed but a limited number of the glass scrolls that didn’t quite make the grade are now available to purchase from the Houses of Parliament Shop. The hand-blown glass scrolls are of varying sizes and each of these 168 unique glass discs was hand-blown and carefully ‘spun’ to open them out flat. To produce the scroll effect, Adam applied powdered glass colours and silver leaf to the molten glass at specific points in the process. 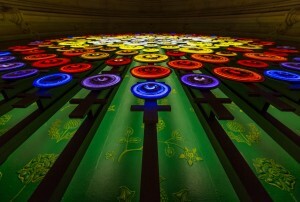 The colours of the glass scrolls were carefully chosen to reflect the coloured banners of the many organisations who spoke up in favour of women’s suffrage. These include the National Union of Women’s Suffrage Societies, the Women’s Social and Political Union, the Women’s Freedom League and the Men’s League for Women’s Suffrage. To enable Mary Branson to make her vision of New Dawn into a reality, she also enlisted the help of a number of other leading craftsmen. 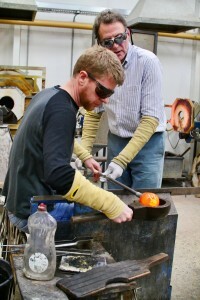 Ian and Colin Musson, a father and son team, produced the supporting metal work. Mary designed this in the shape of a portcullis. Chris Wilson of WLX Productions produced the lighting programme, which runs on a twelve hour cycle. New Dawn is unusual in that it is a dynamic artwork. Mary spent weeks devising the programme that changes the sculpture over a twelve-hour cycle that is governed by the ebb and flow of the tides of the River Thames. The historical significance of this is that the suffragette movement regarded itself as being on the rising tide of change, and the clock would not be turned back. The journey was still to be a long and tortuous one, but there was no going back and eventually women gained the vote. Mary and Adam have also designed a series of limited edition commemorative, New Dawn Scroll Bowls which can be purchased from the Houses of Parliament shop. Measuring 6 metres by 4 metres, New Dawn is the largest publicly commissioned glass sculpture of its kind in the UK, to the best of our knowledge. This link takes you to Mary Branson’s website. If you scroll down to the picture of Mary and the image opposite shows the dynamic nature of the work, which is linked to the tides of the River Thames. Thanks to Emma Brown for the images of New Dawn shown here. 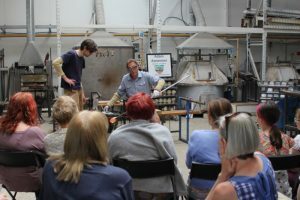 The session starts with a safety briefing and then a demonstration from Adam, showing the process that each person will use, with assistance from Adam and his assistant, Nikki, to make their paperweight or other item. 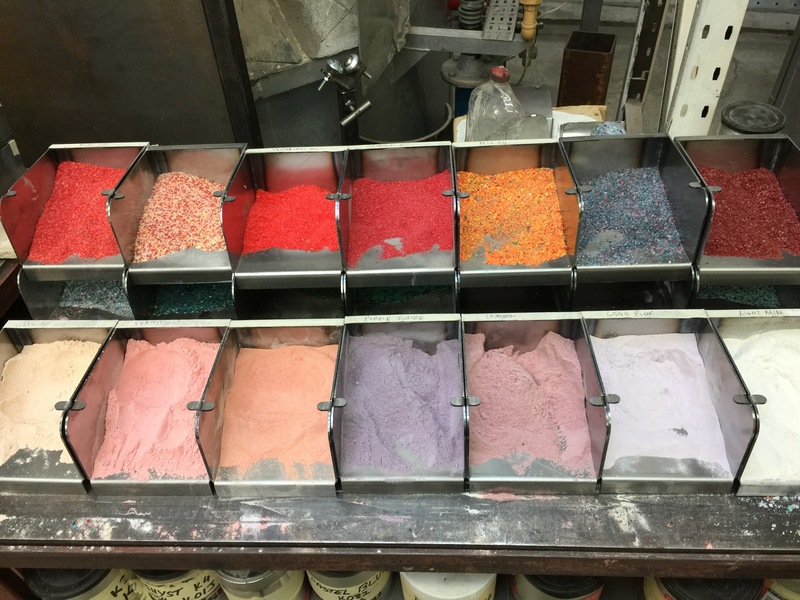 Next, each person chooses their colours and style and works with Adam and Nikki to create their unique piece. 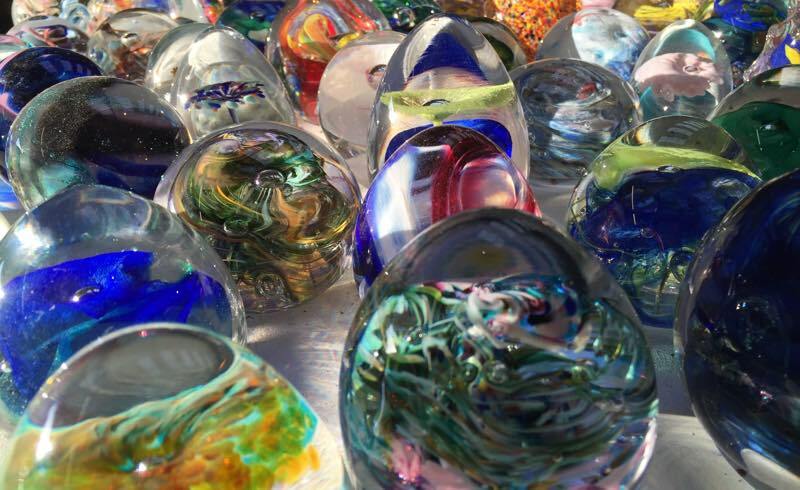 Paperweights and other items have to be annealed overnight and are generally ready for collection 48 hours after the course. The cost per person, per piece, is at the special SAOS rate of £40 including VAT. Still a few places available on most dates. 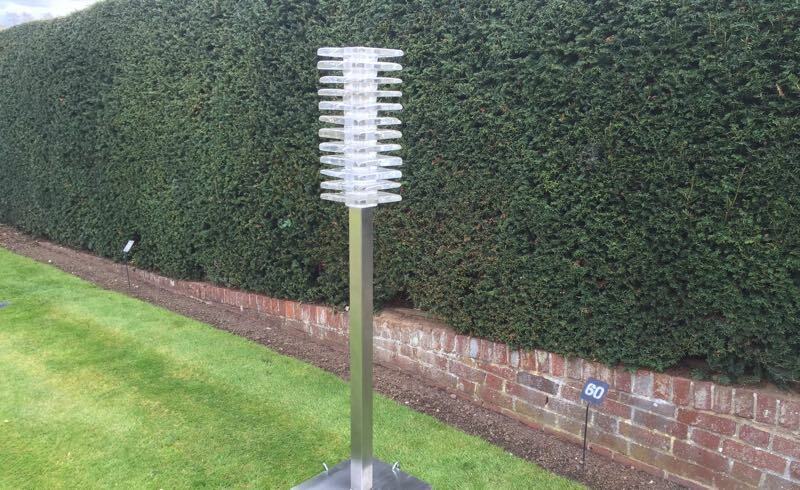 Adam Aaronson has recently been working on several new sculptures for the annual Surrey Hills Sculpture Garden exhibiton at Birtley House in Bramley. The exhibition opens on Saturday 30th April and is open to the public from 11am – 5pm until 5th June. “I’m particularly pleased with my new totems” said Adam. “I first made totems around 1991/2 but these were much smaller, standing around 50cm high. It’s taken a while to come back to the ideas and scale them up, but I’ve been meaning to do this for some time and the Surrey Hills Sculpture Garden at Birtley has given me the opportunity to do so”. The Totems stand approximately 2 metres tall and are composed of colourful multiple blown glass elements supported by a stainless steel core. Adam is also exhibiting two new “Cubes” and a “Tower”. 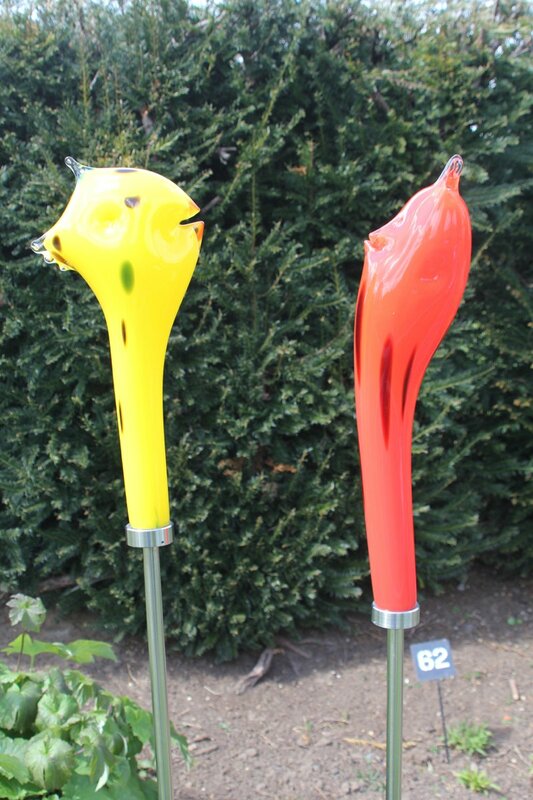 These substantial works are formed using a process of casting hot glass from the furnace onto a steel table. They are supported on stainless steel bases. 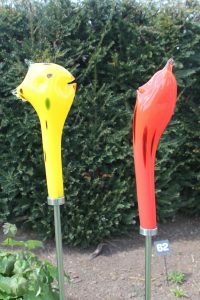 In addition, the exhibition features three of Adam’s “Bud” sculptures. These are blown glass elements supported by stainless steel posts. 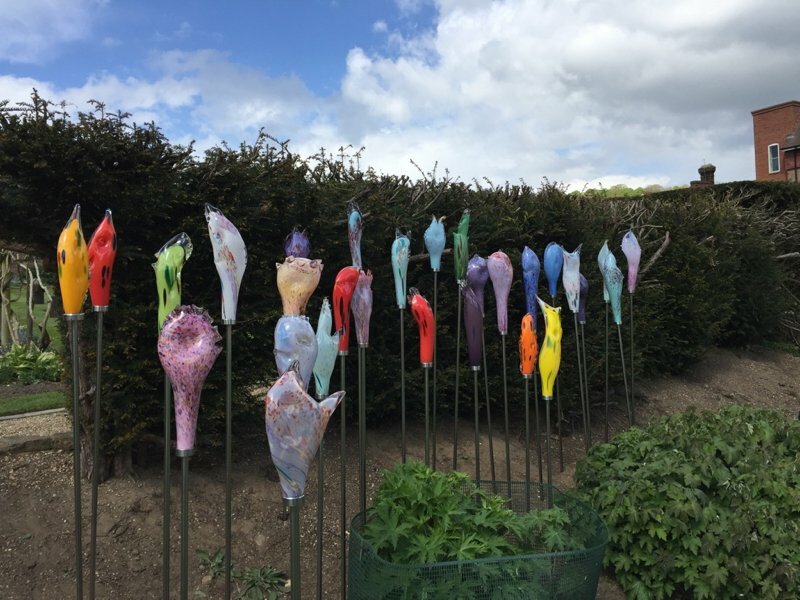 The Birtley exhibition features a wide range of work from some outstanding sculptors and is definitely worth a visit, and is is open daily from 11am – 5pm. 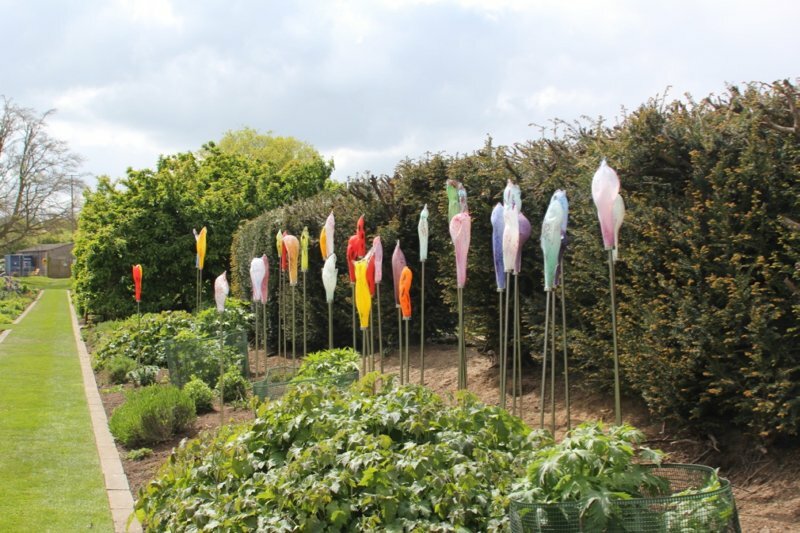 There are around 170 sculptures in total and these are set in the stunning formal gardens. This is an ideal opportunity to enjoy the extensive grounds at Birtley too. This is the fourth consecutive year that Adam Aaronson has exhibited in the Surrey Hills Sculpture Garden.